Migraine affects 20% of the world population. It was in 1990s when doctors discovered that...........................could help in relieving migraine pain. Surgery for migraine is not as strange as it may sound. 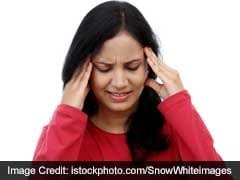 As per doctors from AIIMS and the military hospital from Srinagar, it is not such a strange idea to go through a surgery for migraine. This has been stated after follow-ups were conducted for patients who underwent the migraine surgery. Migraine is a condition where a person experiences excruciating pain in either side of the head. It affects over 20% of the world population. Though doctors prescribe steroids for migraine but the side effects of these medicines are known to all. However, the study claims that migraine surgery showed positive results one year where 46.7% people reported complete relief from migraine and the rest reported significant relief from migraine symptoms. Only 6.6% patients reported no improvement after a year of the operation. The results of this research can be found in the Journal of Craniofacial Surgery, a monthly US journal. Leader of the study, Dr Anson Jose, maxillofacial surgeon at Srinagar's military hospital, informed TOI that this surgery involves the removal of certain muscles from the forehead which are suspected to trigger the attack by compressing the close nerve branches. These operations are conducted in abroad on a trial basis. India has witnessed very few attempts of the same. The removal of these muscles is known to give long-term relief to patients. The benefits of migraine surgery were first sighted in the 1990s by Bahman Guyuron who is a US-based plastic surgeon. He noticed the benefits while conducting forehead-lifts. Dr Roychoudhary said that Guyuron noticed that his patients who got the forehead lifts done, who also suffered from migraine, reported significant decrease in pain. This is where the research began. However, he also warned that the same might not be a recommended solution for everyone. Professor and head of neurology at AIIMS, Dr Kameshwar Prasad, explained that managing migraine pains through surgery is a new experiment. Migraine is a neurovascular disorder which affects over 20% of the world population.